At Liberty Games, April Fool’s Day is a great opportunity to get creative and have a bit of fun. In the early years we were happy with a strategically-placed whoopee cushion or putting jam in the space bar on a colleague’s keyboard, but in recent years we’ve taken it further. 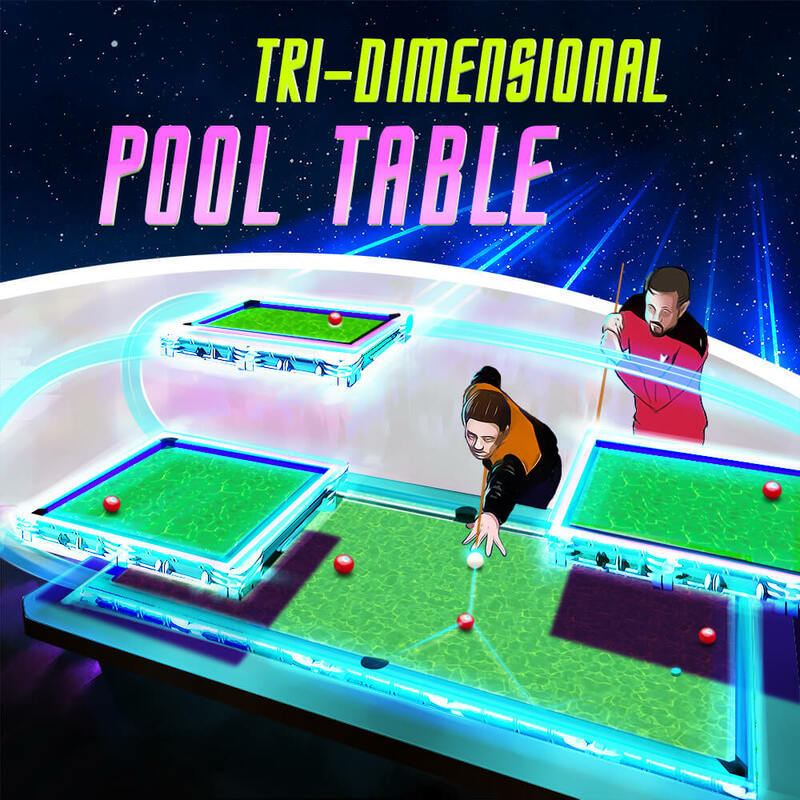 Drawing inspiration from the Tri-D chess sets, that have been a regular feature in Star Trek from the Kirk years up to the 2019 Discovery series, our Tri-D pool table features multiple linked playfields built on platforms. We think it’d make a great feature in Ten Forward. Warp straight to the listing and read more. Video games use ultra-realistic technology to drop you right into the midst of the most immersive action ever. But snarling zombies, vicious terrorists and terrifying demons are no match for that most challenging of gaming experiences – the Printer Jam. 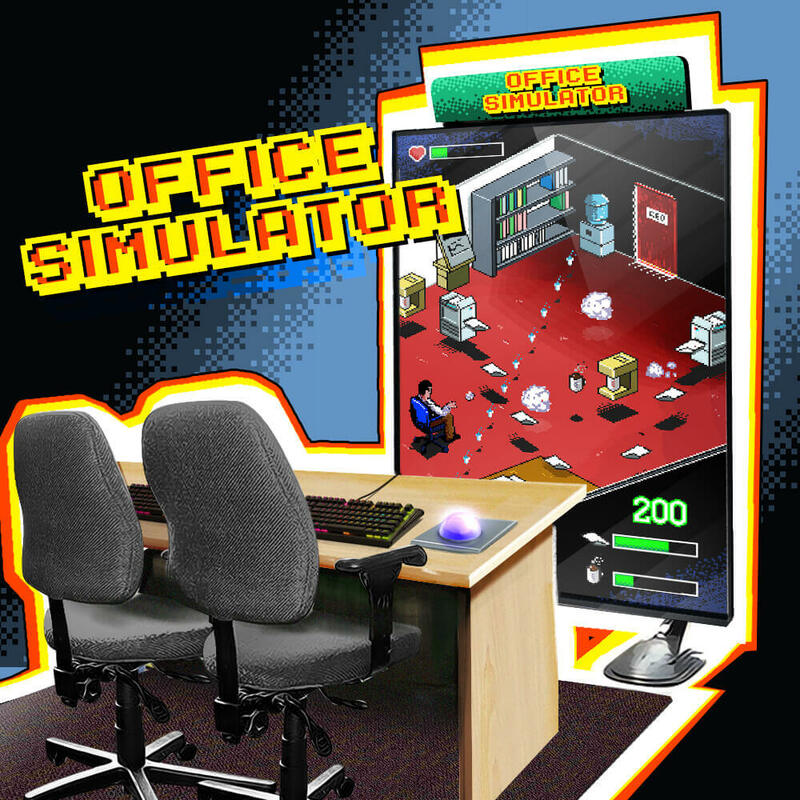 In our simulator, based on the kind of arcade machine you might find in our Arcade Machines department, you will need to use every single one of your available wits to make it through a day in the Office. Read more. 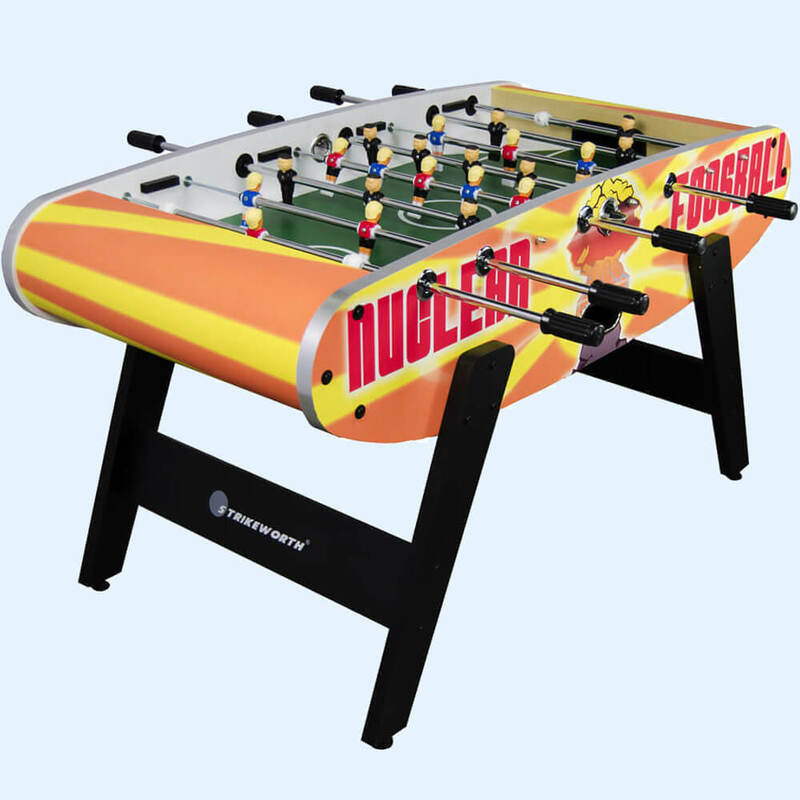 Our Nuclear Foosball table commemorates those bigliest of bigly diplomatic events – the historic meetings between President Trump and Kim Jong-Un. We thought that the best way to defuse what looked like a serious nuclear dispute would be with a game of Nuclear Foosball – named after the briefcase that the US President always carries, that carries the nuclear launch codes. Read more, see all the pics and video, or even covfefe here . Air hockey tables need a consistent, powerful cushion of air to create the lift and allow the puck to glide across the play surface. But what if you don’t have mains power nearby? Easy. 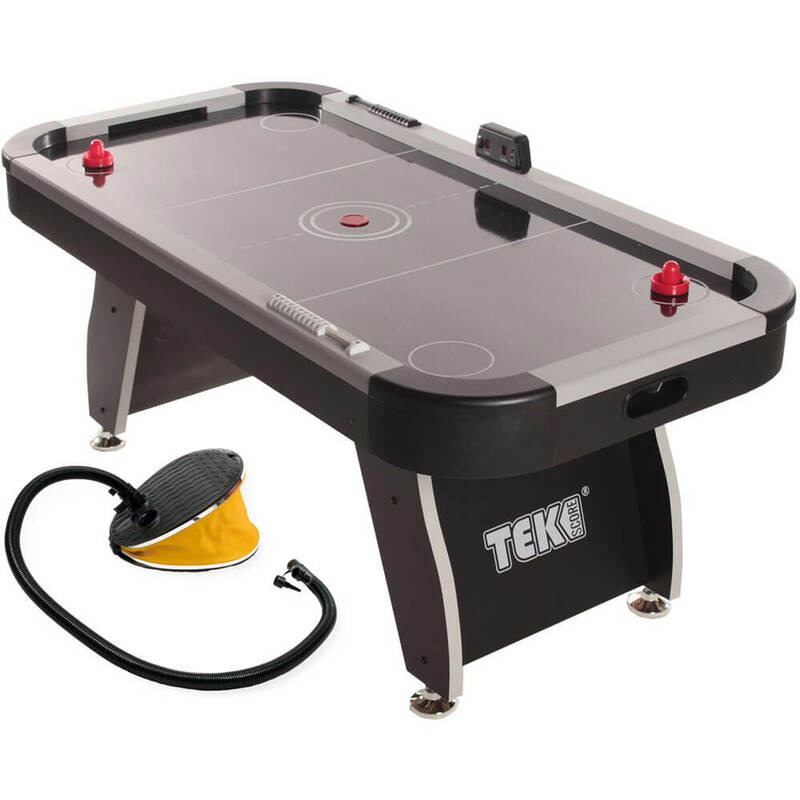 The Pump Action Air Hockey Table goes anywhere, any time. All you need is a flat, level area and someone with a very strong right leg. Read more and see the video. It’s exhausting viewing, be warned. 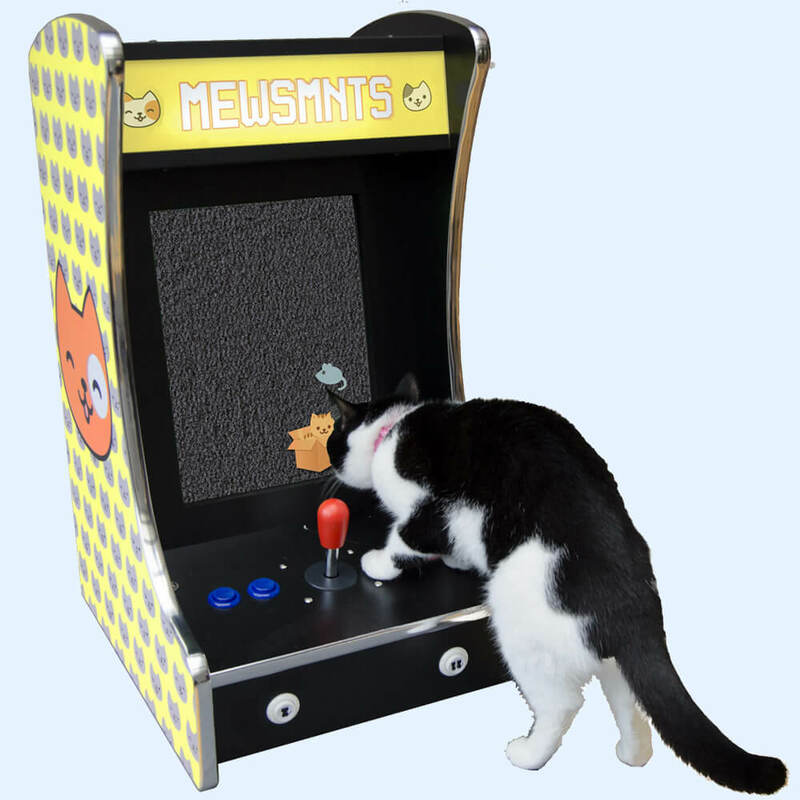 After watching our pets become entranced when staring at video games on the TV, we decided that they should really have games of their own. 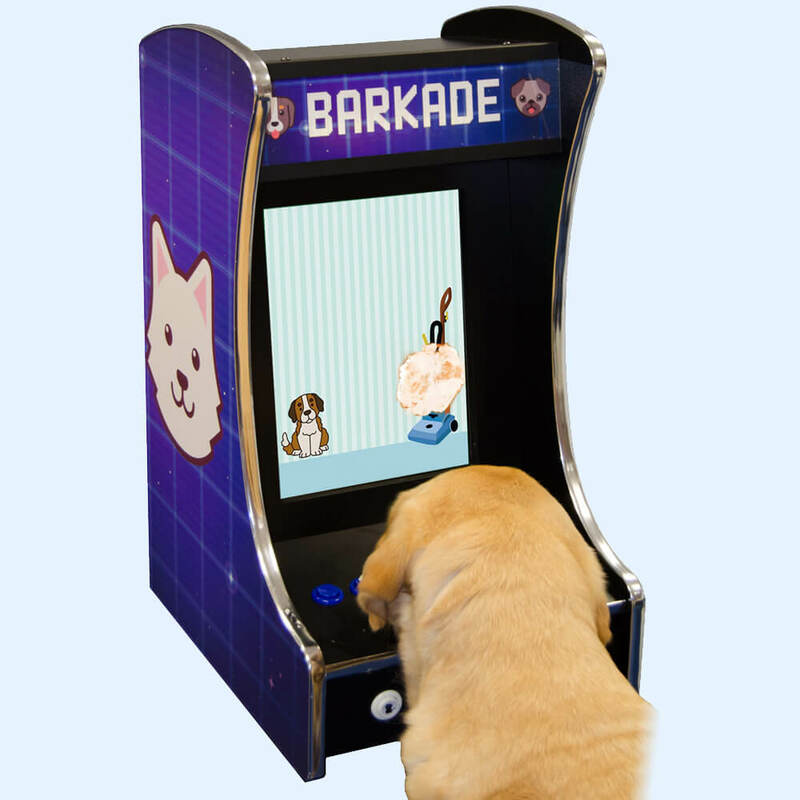 We developed the Barkade for dogs. It is packed with dog-friendly features including paw-gonomic controls, a drool-resistant console and of course a satisfying game experience which culminates in the defeat of every dog’s worst enemy – the Hoover! Read more here, and watch the drool-tastic video. And for our feline companions we turned to the Mewsmnts Rcade. It’s designed to capture the attention of any bored cat, hopefully keeping them occupied for hours so that your curtains get a break from being swung off. See more details here, and feel the absolute disinterest. Don’t forget to check back every April to see what hilarious japes we’ve been up to.